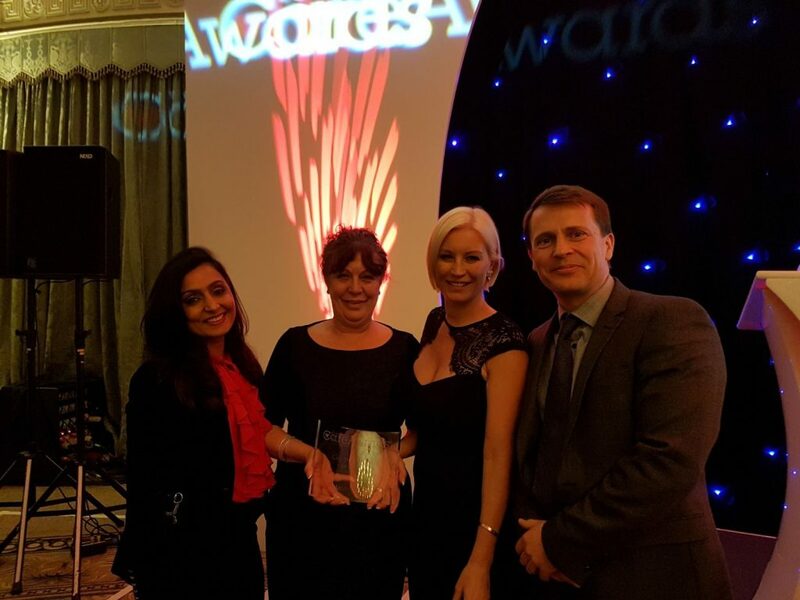 Managing director of Sahara Care, Sharon Kaur, is celebrating our registered care manager Janette Neal’s recent award win at the prestigious Towergate Care Awards. Janette, who manages Sahara Lodge and Gardens, was crowned best Care Home Worker of the Year at the prestigious event, which was attended by hundreds of care workers from all across the UK. Judges on behalf of leading insurance broker Towergate Insurance commended Janette on her dedication to the role and her fantastic approach to delivering high quality care to service users. Speaking after the awards, Janette said: “I am completely blown away. I can’t believe that out of all the entries the judges must have pored over they decided to select me. Sharon Kaur, Managing Director at Sahara Care, added: “I am absolutely delighted for Janette. I can’t think of anyone else who is more deserving of this award, she continues to provide exceptional care to the residents of the home, which is reflected in the fantastic comments we often receive from families and local authorities. At the event, Janette and Sharon met a number of the other winners and Janette was presented with a trophy by famous presenter, Denise Van Outen.